If you are going on a family holiday to Orlando and you feel you might need a holiday after the holiday, we really recommend a stay along Florida’s West Coast at the end of your trip! 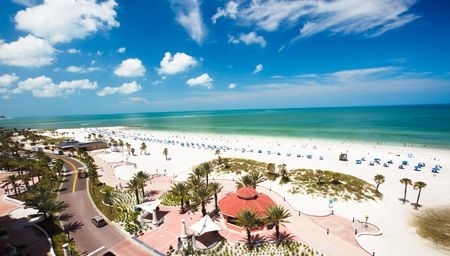 Just a short two hour drive from Orlando you will find St Pete Beach and Clearwater. St. Pete Beach and Clearwater is a stunning area of Florida that is made up of several clean beaches, family friendly hotels and activities for mum, dad and all the kids! St. Petersburg is a great destination for family fun! With miles of sandy beaches and exciting attractions for every age, it will make a memorable holiday for the whole family. For relaxing beaches and quiet lagoons, the charming Pass-a-Grille is the perfect place to visit! The Corey Avenue and Ellenton Premium Outlets are for those looking to shop til’ they drop! The outdoor activities are endless in St. Pete Beach, with hiking trails, golf, surfing and other water sports to name but a few. 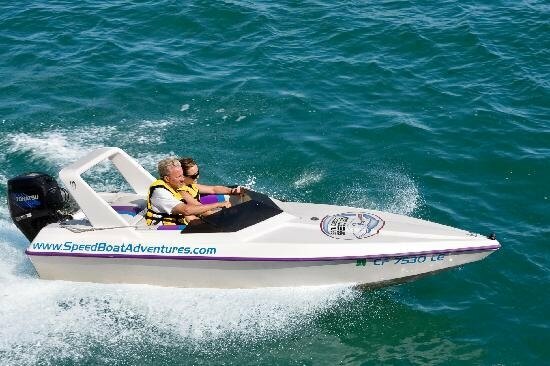 You can also get the thrill of driving your own speedboat with a guide telling you all about the beauty of Tampa Bay at Speed Boat Adventures! If you need a break from the sun, why not visit the world famous Dali Museum to see works from the amazing Salvador Dalí. 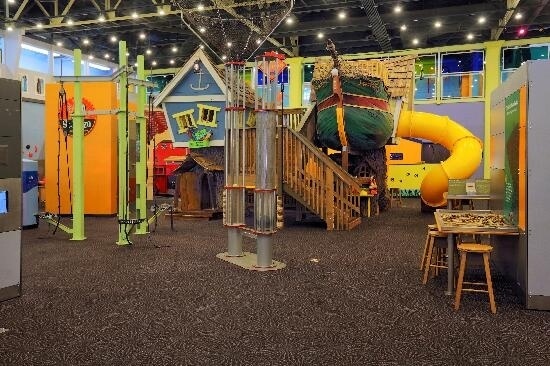 We also love the Great Exploration Childrens Museum and we recommend families visit it when staying in St. Pete Beach! You don’t just look at the exhibits, you can touch them, move them and explore them! Hotel wise in St Pete Beach, we love The Guy Harvey Outpost. This hotel is perfect for those looking for a budget friendly beachside accommodation. Or if you are looking for something a little more special, right next door you will find the four star Tradewinds Island Resort. Both of these hotels are just perfect for families. One of the most popular family beaches in Florida is Clearwater Beach. As the name suggests, the crystal clear waters and clean sugar sand are what draws families to the area. On this beach, there is no worry about your children disturbing anyone because there are kids everywhere! 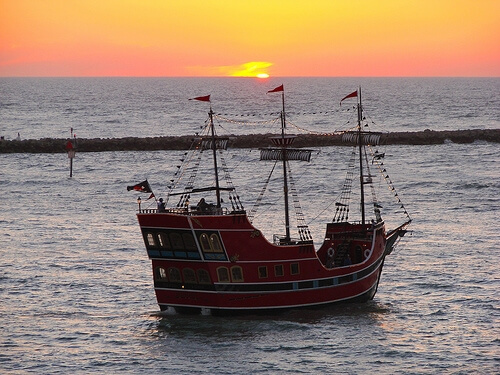 Clearwater Beach is always buzzing with life and activities like para-sailing, other water sports and miniature golf. While there, why not take the kids on Captain Memo’s Pirate Cruise or a dolphin watch cruise! Alternatively, why not relax in the sun and let the younger ones play in the playground while the teens play some beach volleyball! The fun doesn’t stop when the sand ends in Clearwater! There are shops and restaurants on the beach walk promenade. 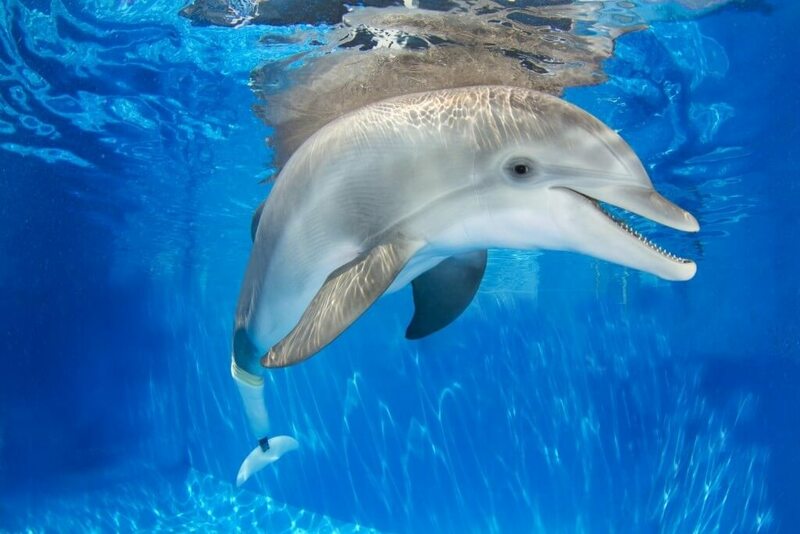 We love the Clearwater Marine Aquarium where you can see the famous Winter the Dolphin! A different activity to try is the Tampa Bay Escape Room. This fun attraction encourages working as a team. Together you have to find clues and solve puzzles in just 60 minutes to escape the room! And if all that fun wasn’t enough, at the end of each day in Clearwater, there are daily sunset celebrations at Pier 60. Hotel wise in Clearwater, we love the Marriott Suites on Sand Key for families and we know that the kids will love the giant swimming pool at this hotel! If either St. Pete Beach or Clearwater sound like the perfect place to end your exciting Orlando holiday, Tour America can help you. We take the hassle out of your holiday by organising flights, accommodation, park tickets and car hire. We tailor make all of our packages as well and we aim to meet the needs of your family. We can do it all for you. Call us today on 01-8173535 to speak to one of our Florida holiday specialists today.